Options for monitoring health with your Samsung Galaxy S 5 involve connecting medical sensors to track health-related metrics. With these more advanced sensors, in addition to tracking your heart rate or sleeping patterns, you can monitor blood pressure, blood sugar levels, or oxygen levels in your bloodstream. Each solution is unique, but in general, you have an application on your phone that connects with a sensor. This sensor is often attached to your wrist for the sake of convenience. This application monitors your status. If you should exceed a preset threshold, the application tells your phone what to do. If you’re healthy and this sensor is for fitness, your phone can track your progress. If you need to monitor some health condition, your status may be sent to a caregiver at a suitable priority. For example, if your heart rate is a little elevated, it could send a low-priority message to your doctor. If your condition requires urgent attention, your phone could text a caregiver or specially trained staff member. If you use these features, rest assured that you will need to acknowledge a library of disclaimers. At the end of the day, however, the goal is to increase the chance of getting good information to someone who can do something about it. 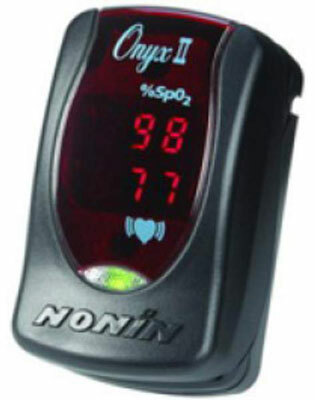 Fitness buffs can use the Onyx II wireless pulse oximeter from Nonin. 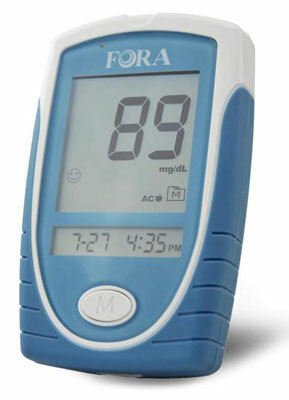 Diabetics can use the FORA G31 Blood Glucose Monitoring System from TaiDoc Technology Corporation to measure their blood-sugar levels. You gain two advantages by using applications like these. Automatic recordkeeping. You’re probably human, as in, “only human” — and as an imperfect human being, you don’t always record your results. Your phone solves this little imperfection by always recording your results. Plus, your phone probably has better handwriting than yours. Who ya gonna call? Your phone knows. Your phone is set up to send the results to a tracking application that is then monitored by a health specialist. The specialists have the knowledge and experience to flag imminent problems or promising trends. This arrangement is much more sophisticated than what is available from standalone monitors.